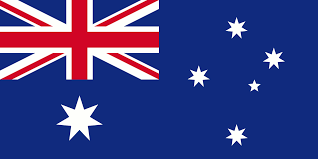 Every year, around Australia Day, the first of the Australian events on the WESPA calendar is held. 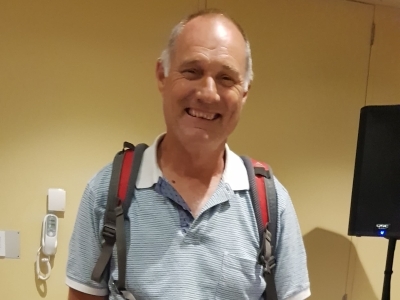 The City of Sydney Masters (CSIM) is one of the oldest events on the Australian Scrabble Calendar, and, in 1999, when it went international it was won by Nigel Richards. For some time thereafter, the $1000 first place prizemoney was maintained, with mainly Australians players contesting the event. 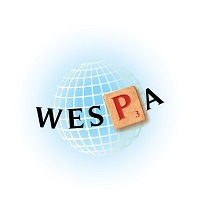 However, in 2012, the prizemoney was raised to $US2500 and in doing so qualified it as an international tournament when it came to WESPA rating. David Eldar took out the honours; to this day, it continues to attract the best players in the country with former national champions joining the strong local field to take part. 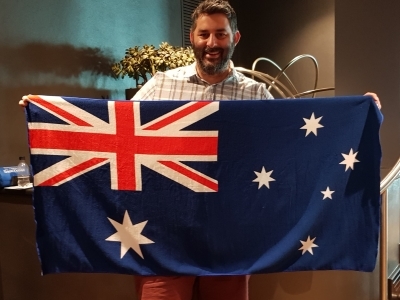 This year, Australia Day fell on a Saturday - so, with Australia being the land of the long weekend, it allowed for an 8 day tournament on the Saturday to precede CSIM: the Australia Day Open. 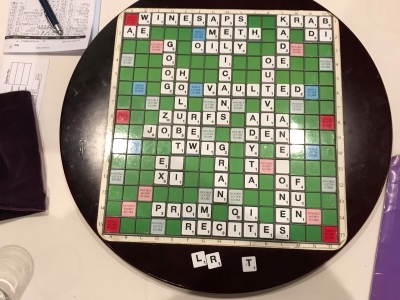 A one day event allowed the opportunity for more players to get some Scrabble in, and the decision to do so was well received: 65 players participated in the one day event, a combination of players from the main event and those who played the day only before spending the rest of the long weekend on other activities. By the end of the Saturday, Victoria's Peter Kougi won on spread from South Australia's Adam Kretschmer and ACT's Noel Barrett. Sue Gergelifi's 140 for DISRATES and 623 game took out the other prizes on the day. We have recreated two boards below from CSIM and both are 1000+ games. The first is Russell Honeybun's high game from CSIM - a massive 668 (his opponent scored exactly 332, bringing it neatly in at 1000!). Russell took to Instagram, explaining "668-332 5 bonuses. CULTRATE FINNIER KNITWEaR (104) QUEERISH (113) GOATSEs. The last three bonuses were consecutive." (As an aside, Russell's Instagram also featured two other boards from the event. Holding EINRT, he added to the front of PAGE onto a triple, ensuring an additional 5 points for the unsuccessful challenge. He also featured Jakob Teitelbaum's very nice 7 tile overlap, playing LEADIeR alongside ARTISTE). Jakob features in the second board featured; but on the losing end of a 534-514 game against eventual 3rd placegetter Ryan Sutton. Ryan observed of the game "quite an interesting board, looking at it. Lots of open real estate. Most action around the corners." On further reflection, he considered Jakob's play of DIVI the swinging point "[I guessed] he was plagued with Ds and Is but it gave me a high scoring play for the Q, which I originally would probably have had to dump for 20." "[Jakob's] plays of AZURY and KUTI were pretty amazing. I know putting FAIR down I was opening myself up to a Y play but I didn’t imagine I’d be hit for 69, then I played BASAL without even considering a hook so was shocked to see him hit back for 47... [though thinking] playing BASAL with one in the bag and holding DA should be enough." We hope you enjoy these board photos. This year's CSIM featured 58 players: 10 Australian Champions (including the current national Champion Edward Okulicz and former World Champion David Eldar) and a former African Champion (Ayorinde Saidu). As such, the quality of Scrabble on display was extremely high (there is no better example of this than Andrew Fisher's beautiful find of HOLUBTsI). The tournament itself was 18 games over 2 days, with ten games played on Day 1. At the conclusion of the first day, Edward Okulicz was the leader, equal on 8 wins with Jakob Teitelbaum and Ryan Sutton. There were some notable players outside the top 10 at day's end with David Eldar (12th), Andrew Fisher (13th) and Trevor Halsall (18th) some of the players who ended the day on 6 wins. 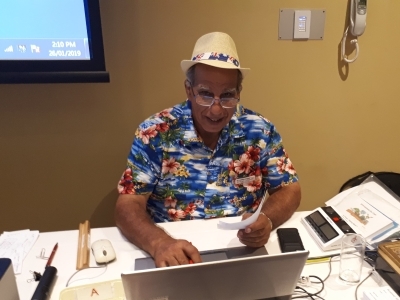 Excellent work done by John Hamilton ensured that there was live streaming coverage of most games - and you can view the games via his Scrabble Live Streaming page on Facebook. It allowed those who could not manage to be able to attend a glimpse into some of the high quality Scrabble on offer. With three games to go, Edward Okulicz led by one game and sizeable spread from Ryan Sutton and a further two games from Andrew Fisher and David Eldar (having both gone 4-1 to start the day). Things would take a dramatic turn and with the final game left, there were now four players on 12 wins just behind Edward, who was still on 13. The final game fixtures for the contenders to win were Edward Okulicz vs Trevor Halsall, Andrew Fisher vs Mythili Rudra, David Eldar vs Naween Fernando and Ryan Sutton vs Wayne Jones. 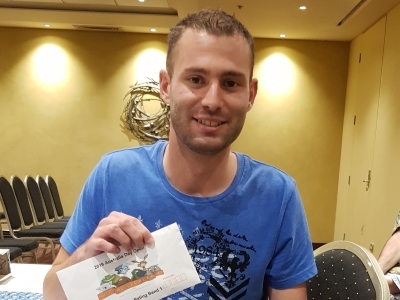 By the tournament end, wins to Trevor, Andrew, Naween and Ryan meant that the 2019 City of Sydney International Masters winner was Andrew Fisher with Edward runner up. Ryan Sutton came in third, securing the highest rating increase of those in the top 10 as a result. Australia features many WESPA rated events throughout the year, with the next event on the calendar in March and its Nationals at Easter time. We present a gallery of some of the prize winners from CSIM below; congratulations to all prize winners! One very happy prize winner!